The keen instincts of eOne's development director have helped bring successes such as Burden of Truth and Caught to life. The success of primetime dramas Burden of Truth and Caught, both optioned and stewarded by eOne’s director of scripted development Andrew Kelly, is shining a light on a young star as he rises through the ranks of the oft-secretive realm of TV development. Inside the walls of eOne and in the Canadian industry, Kelly is building a reputation as a creative producer with a razor-sharp ability to identify standout IP and then deftly navigate the path to greenlight. After graduating from Humber College’s Television Writing & Producing program in 2010, Kelly secured an internship that same year at eOne and was later hired as a scripted development assistant, and then became development coordinator of scripted television. After turning heads inside the company with his expansive knowledge of genre television, Kelly in 2012 got his first major assignment shadowing veteran eOne development exec Tecca Crosby, and compiling notes on the first season of multi-partner copro Bitten. 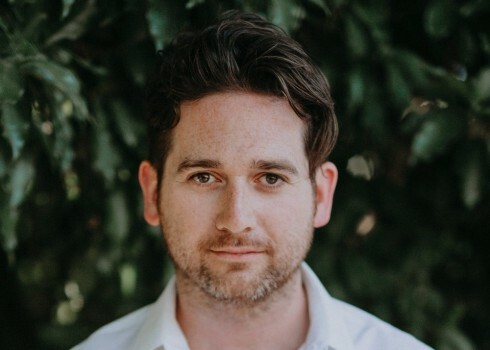 Kelly was promoted to manager of creative affairs in 2015, where he began working independently on a slate of projects ranging from procedurals to political espionage thrillers. In 2017, he was promoted to director of scripted TV development. While Kelly’s role (and development in general) is a complex one – in which multiple responsibilities must be balanced in the knowledge that the majority of the work will never make it to the screen – he sees his goal as simple. A self-described “obsessive consumer of TV,” Kelly’s ability to keep up with all the newest releases has become well-known at eOne HQ in Toronto, and he’s often used as a vital resource. Envisioning how all the pieces can fit together has also become a crucial aspect of Kelly’s overall skill set. After reading and optioning Brad Simpson’s original script for legal drama Burden of Truth, Kelly suggested approaching Canadian actor Kristin Kreuk as a potential lead. It was perfect timing. Kreuk was wrapping up her detective role on The CW series Beauty and the Beast and Kelly sold her on the idea of following it up with Burden‘s starring attorney role, and input as EP. The move meant eOne could then pitch the series to broadcasters with the star in the room – a facet of the pitch that was crucial to the eventual greenlight from CBC. The pubcaster has since greenlit a second season of the show, and season one was acquired by The CW. Kelly said the partnership has so far proven fruitful in helping bring eOne into contact with a new generation of creative minds from outside the traditional system. This story originally appeared in the Fall 2018 issue of Playback.